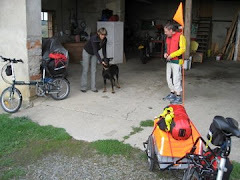 Cycling in Europe: Picking up litter! 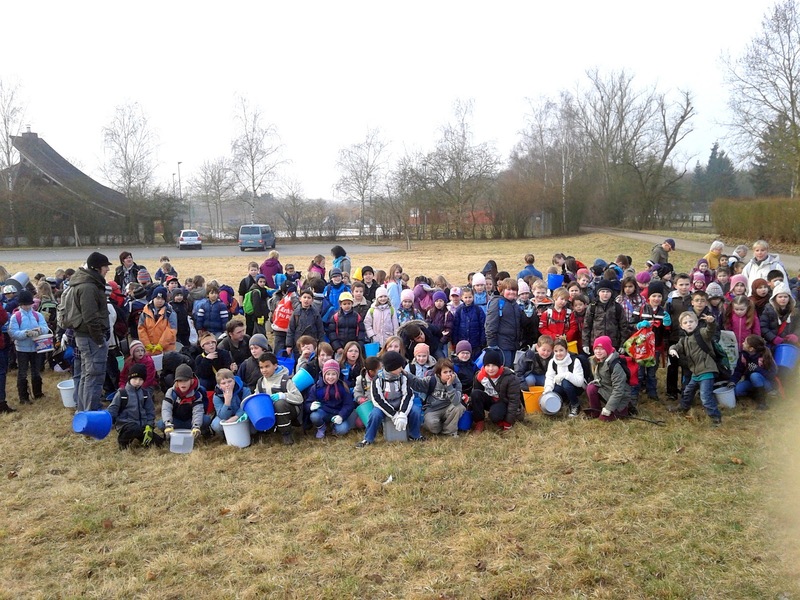 We have written before about the annual forest clean up in Viernheim. Once annually the town asks the clubs, societies and private individuals to take part in this event and it surprising what is found. The litter ranges from engine blocks, truck batteries to innumerable bottles. There must be many a drinker driving round Viernheim who tosses his empty miniature bottle of digestive into the bushes on the bypass as they drive home. 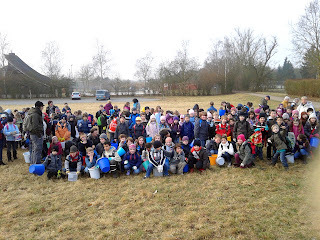 We have helped for years to battle the litter louts and were asked this year help supervise a group of school kids from the Froebel Junior School here in Viernheim. There were 320 little litter pickers and we helped two teachers lead 75 kids through the bushes in search of hidden treasures. The most difficult problem was explaining why people dumped old clothes on the edge of town rather than using the used clothing bins belonging to the Red Cross or similar organisation, or why so many empty bottles?